With communications getting easier and convenient with the advance in technology, one change that has evolved in the job industry is, the possibility of working from home. There are many organizations that prefer employees who can work from home. This also helps them in saving some cost on light bill, workstation, and traveling allowance that are provided to other employees who work in the office. However, not all industries can avail this benefit of allowing employees to work from home. There are some jobs that has to be done at the factory or office. Especially, people who work with heavy machineries, and manual and power tools. You cannot take those machines and equipment to your home and start working. Even the filed job is not possible from home. If you have been wondering whether to start working from home or not after seeing people who actually do, you will need to think about these before making the decision. First, you will need a computer or a laptop and internet service in your home. Second, you have to attend the office at least for a few hours in a week or whenever called by the employer. Third, you cannot switch off your mobile no matter how busy you may be with your domestic chore. Once you have these basic necessities in your home and are ready to abide by the employer’s terms and conditions, here are the other benefits that will prompt you to choose to work from home. Office-goers have to reach their workplace in time. They have to wake up early and finish off their daily routine activities as quickly as possible. Some who are living alone also have to prepare their breakfast. There are times when getting ready for the office doesn’t leave any time for preparing and having breakfast and they have to rush to the office missing the most important meal of the day. 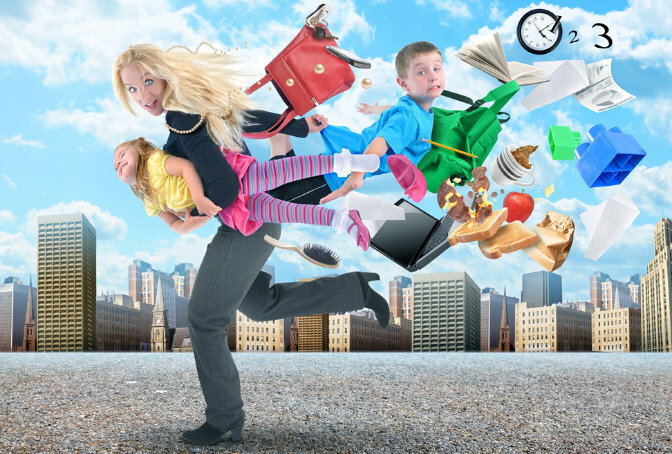 When you have chosen to work from home, you don’t have to make a rush. Though starting the work at the scheduled time is must, you can do so without even having a shower as nobody is going to see you in your home. As there is no need to get ready for the office, you are also saved from ironing your clothes. 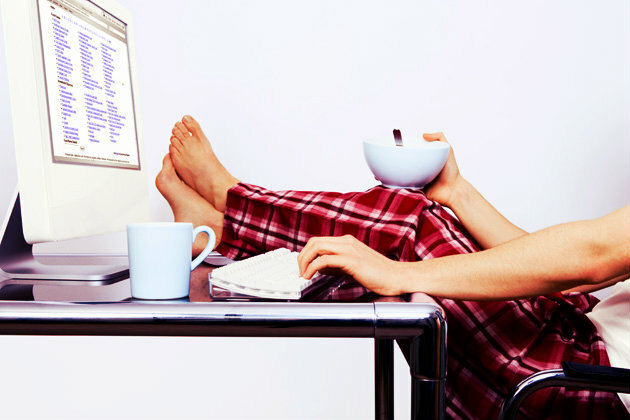 Plus, if you are good at multitasking, you can prepare and have breakfast when working on your laptop. Most importantly, you will be saving time in commuting as well as money you would be wasting on fuel or for public transportation. Sometimes, it is no easy in the office to achieve productivity. You are bound to attend meetings and are likely to be interrupted by your boss, colleagues, and the gossip that takes place at the water-cooler or in the toilet. And as office meetings go on too long, it will leave less time in your hands to finish off tasks. There is also a possibility that your colleague will interrupt you with a request for assisting in the preparation of a PowerPoint presentation, patching up with a boyfriend or girlfriend, or in purchasing the latest mobile phone. Things like these are common in the office that occur daily despite the attention of the supervisor. As you cannot deny your colleagues of their request, your productivity will get a back seat. At home, you will be working alone and without any disturbances or interruptions. As such, you will be more productive. While too much of comfort is not a good thing and may also work as a spoiler in professional life, precaution is necessary for not getting carried away. But if you are the one who has a strong control on yourself, working from home will definitely be comfortable for you. You can work with your laptop sitting on the couch, or on a rocking chair. You can even lie down on the bed on your stomach and work. Moreover, you can throw up your legs or take a short walk inside the room for a break as and when you feel. One of the best things about working from home is that you will be saving much discomfort to your back, which all office-goers have to face sitting for long hours. The morning rush leaves no time for many to take food to the office. They are forced to eat in the nearby restaurant and spend half of the amount they are earning daily. When working from home, you have complete control on your kitchen. Whenever you feel hungry, you can go into the kitchen and prepare your sandwich or a mid-day meal. This will not only save your money, but you would also be eating healthier food and not the one served by the vending machine or the restaurant. Plus, there will no rush in finishing off the lunch and getting back to work. You can enjoy the food at your own comfortable speed. Creativity is not something that comes instantly. There has to be an atmosphere that could fan inspiration and ideas in your minds and let your creative juice to flow. When you are at home and you have a nice and beautiful garden in front of your home, you can spend a few minutes in the garden and seek some inspiration. This is very useful if you are in a wiring field. Moreover, there is always an option to play your favorite music if it inspires you, or meditate for five to ten minutes in calm and peace. 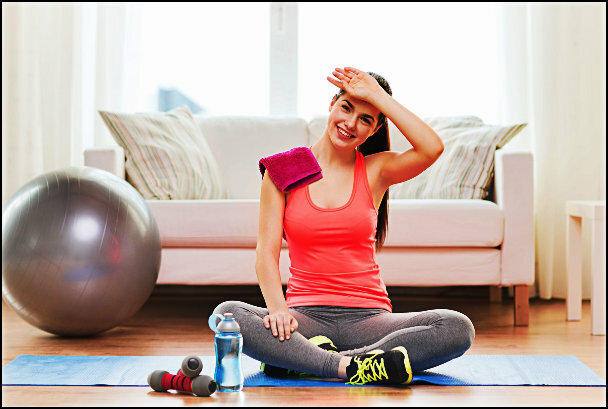 You ask any officer-goer whether she or he is exercising, the usual answer you will get is “I don’t get time.” Since many are spending a good number of hours in commuting to and from office, they are left with little energy to go to the gym. As you are not required to go to the office, you have ample time to exercise either in the morning, during the day, or in the evening. Plus, you will have time to cool down and take a shower at your will. 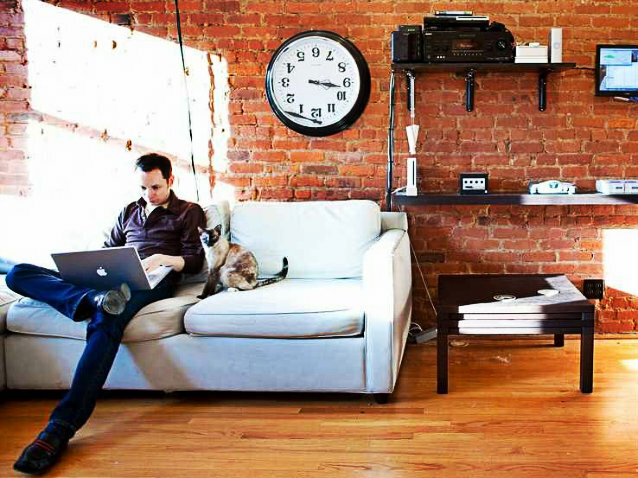 As the home is your office, you are not limited to a crammed place. You can walk and work freely without bothering about disturbance to others. As there will no ringing of the phone, sound of the workstation, coffee machine, and people chatting, you can enjoy privacy and focus on the job. Furthermore, you are free to keep the coffee mug anywhere you wish and enjoy snacks while working. As the work scenario is changing, employees prefer to work from home if given a chance. However, as said earlier, this option or facility is limited to certain types of industries only. 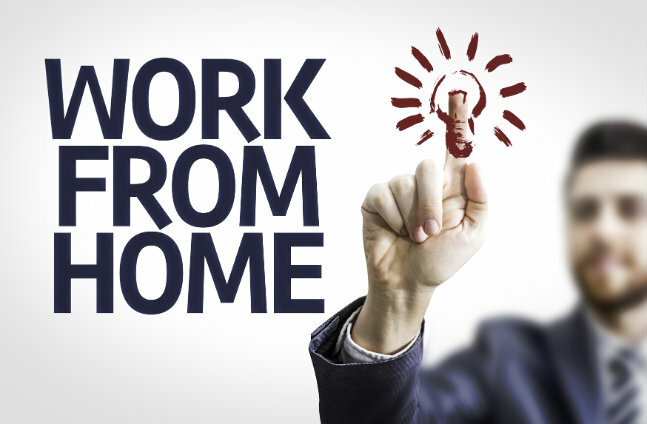 If the field you are in have facility to work from home, you shouldn’t ignore and grab it happily given the advantages you can derive by choosing to work from home.